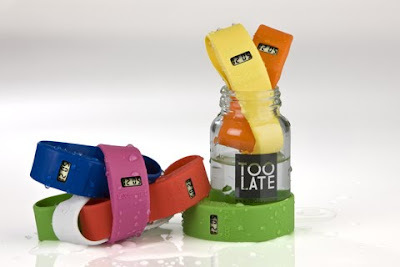 News Flash......Latest trend in Italy......a strip of colored silicone with a bitty digital watch nesting inside. 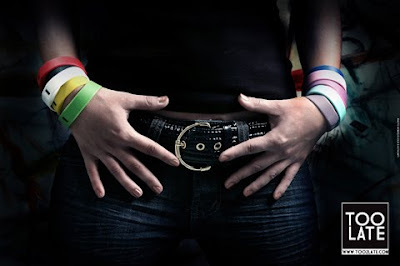 Seen on the wrists of those stylishly chic Italians .......I had to get some!!! 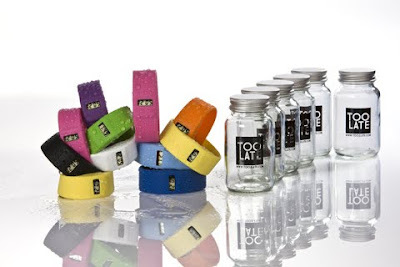 They're waterproof , look great when you stack a few different colors-- one for each of your favorite time zones (now I can keep track of my family)...... Or, mix it with a more serious luxury watch just for fun! Great packaging comes in the little bottle! Let me know if your looking for one to add to your collection!